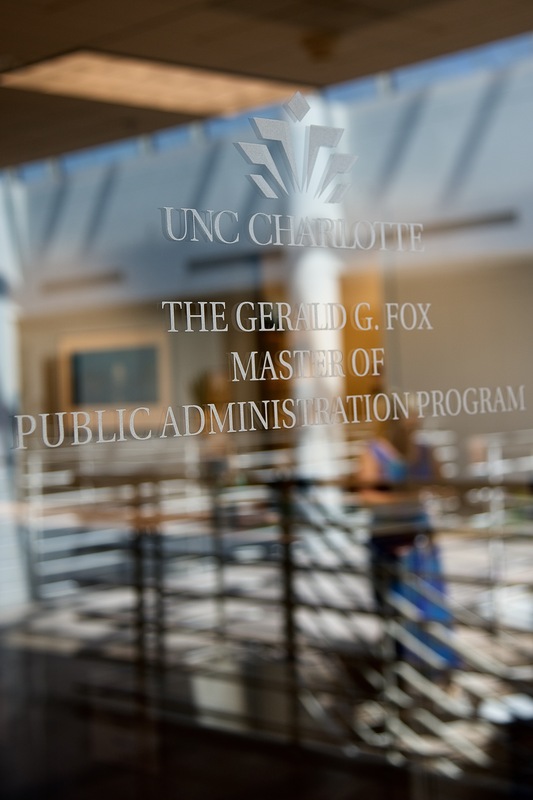 UNC Charlotte’s nationally accredited Gerald G. Fox Master of Public Administration program has been ranked in the top 21% of 282 public affairs programs nationwide that were included in U.S. News & World Report’s 2019 Best Graduate Schools rankings. U.S. News & World Report released the 2019 Best Graduate Schools on March 20, 2018. The UNC Charlotte MPA program, which is part of the College of Liberal Arts & Sciences, ranked with or ahead of much larger programs at public universities that were part of the rankings, Barth said. 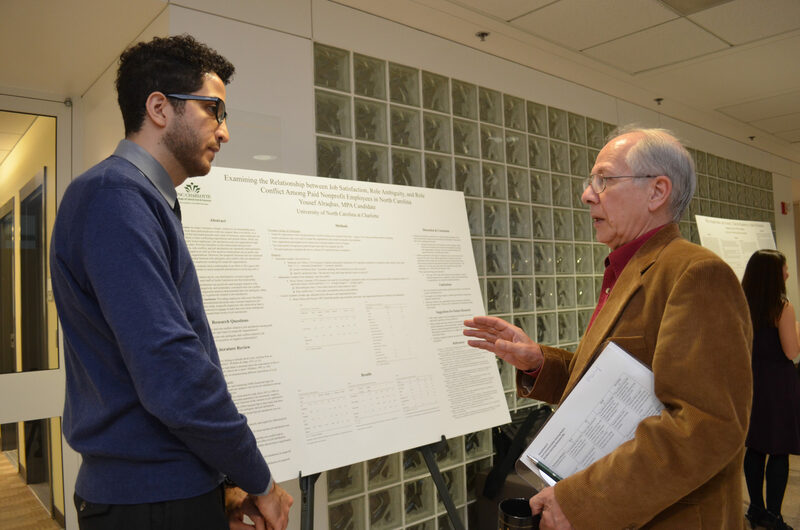 Students present their research to faculty, community members. The mission of the MPA is to provide education and training for the public and nonprofit sectors, conduct scholarly and applied research to advance the field of public administration, and serve the community. The program offers a strong education in core management and leadership competencies, as well as concentrated areas of study in urban management and policy, nonprofit management, emergency management, public budgeting and finance, and arts administration. Certificates are available to students wanting specialized training within non-profit management, urban management and policy, emergency management, and public budgeting and finance. Additionally, the MPA program through UNC Charlotte Extended Academic Programs offers the MPA Public Management Academy. 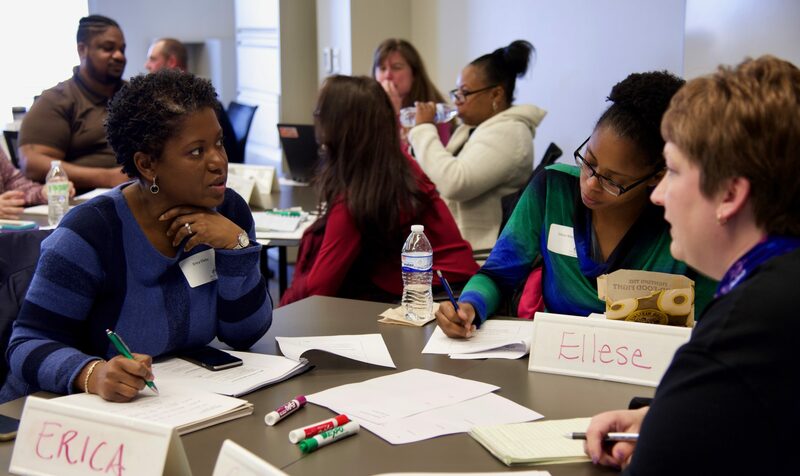 This professional development program is intended for supervisors and high-potential staff working in the government and nonprofit sectors. The focus during the 3-day program is on key skills needed for management success in the unique environment of government and nonprofits. The rankings of public affairs programs, completed in 2018, are based solely on peer assessment survey results. In fall 2017, U.S. News surveyed deans, directors and department chairs representing 282 master’s programs in public affairs and administration. Two surveys were sent to each school. NASPAA and the Association for Public Policy Analysis and Management provided the lists of schools, individuals surveyed and specialty areas evaluated. For more information about the rankings, visit usnews.com.